Liverpool moved back to the top of the Premier League this afternoon, as the Reds beat Fulham 2-1 at Craven Cottage thanks to goals from Sadio Mane and James Milner. Jurgen Klopp’s side took the lead in the first half thanks to a well-worked goal that was finished off by Mane. The home side the equalised in the second half through former Reds ace Ryan Babel, with a penalty from Milner a few minutes later proving to the final and decisive goal. The result now means Liverpool are back atop of the league table, two points clear of Man City in second, although Pep Guardiola’s side do have a game in hand over the Merseyside club. 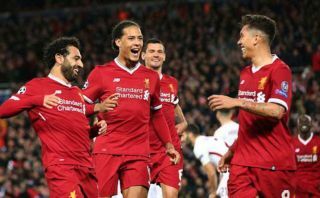 Despite Liverpool’s win on Sunday, some fans weren’t entirely impressed with everyone’s performance, in particular, superstar forward Mohamed Salah. Salah went yet another game without a goal in the league for Liverpool, something that has seen some call for the club to get rid of the Egyptian and sell him in the summer. We’ve picked out a few of these tweets which you can see below. This is a ‘heat of the moment’ reaction, don’t you think? Liverpool should have sold Salah to Barcelona after last season. Would have made some profit, at least. @LFC I think it’s time to sell Salah and put together an offer for Ousmane Dembele.